The boys baseball team is ramping up for a great season. The beginning of spring marks the beginning of baseball season. Frank Sinatra School of the Arts (FSSA) takes sports just as seriously as it does the arts and academics. The boy Legends Baseball Team is excited for the beginning of this season as it will mark many new changes in the way the team will run. There is nothing but high hopes for the dedicated players. Team members are excited for this season and expect it to be better than the last. “I feel like this year we have a solid team coming out. 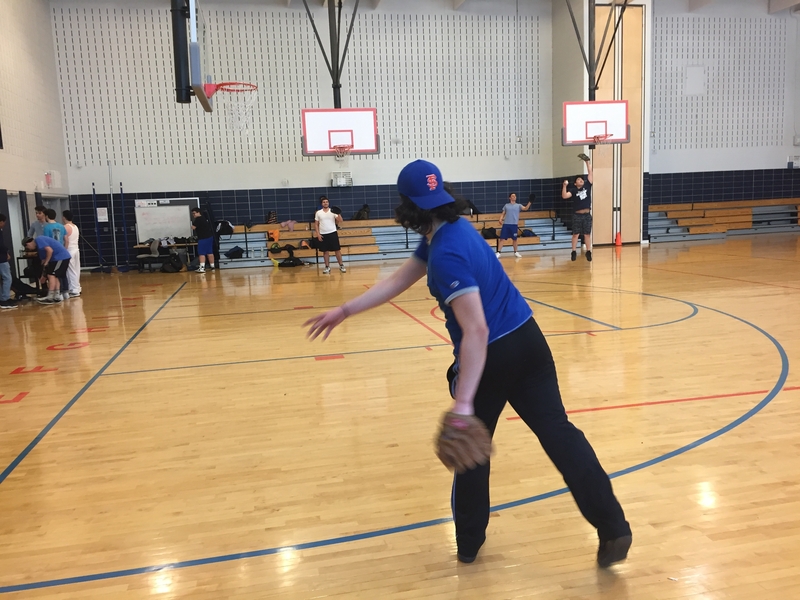 Last year, me having a serious injury was a set back and put more pressure on our former captain,” said Jason Cataldo, Senior film major, and Captain of the Legends Baseball team. Despite previous setbacks, Jason is still hopeful for the season. “Me being healthy and our pitching staff looking stronger than ever, we will be a force to be reckoned with,” he added. A great season starts with effective change and a successful team. Captain Jason (No. 12) would like to change the communication that goes on between the team and emphasize that every player is equally important. “I want us to be a winning team with a winning attitude,” said Peter Kang, Junior instrumental major. Peter is looking forward to seeing a change of attitude in everyone this season. Peter (No. 55), expressed that a positive attitude can change the whole game. “If we keep our heads up, I strongly believe we have the potential for playoffs this year.” Peter said. Both players have something they would like to see change and are determined to see that change. They believe that it takes a successful team to accomplish such things. In order to have a successful team and to be a successful player, there are certain characteristics players must obtain. As seen in major sports leagues, it takes passion, drive, and dedication to succeed. Former captain of the Legends Baseball team, Jonathan Olivera, describes a successful player as someone who puts in work and dedication to the sport they play. They look for new ways to grow because there is always room for improvement. It is not just one person that makes the team successful, but, it is each individual player that contributes to its success. “A successful team is made up of players that work hard together and help each other improve,” he added. With new players added to the team this year, Jason looks forward to a renewed sense of passion. Tommy Vlahos (No. 5), Senior film major said that what he most looks forward to is going to the playoffs. Optimism, drive, and dedication will get them there. It is with no doubt that the Legends are working hard to have a successful season. This year, they strive for change, success, and the playoffs.